The purpose of a blank taxi cab receipt is to provide proof of the trip. Many types of clients will request receipts. Those who need receipts for tax purposes or travel expenses are at the top of the list. Many professionals such as lawyers, doctors or others who bill clients for travel use receipts for expenses. People who often travel between locations such as freelance writers, photographers, salespersons, contractors and visiting home health professionals use receipts for tax purposes to claim deductions. The first portion of the receipt is used to identify the taxi cab company. Place the name of your company on the first line. This will double as source information for whom the customers hired and as future advertisement for your business. Underneath the company name place the phone number. Again, this serves a dual purpose: as contact information for persons having questions or needing information; and as a way to reach you if they want another ride. Under the name and number you should place the identification numbers that your PUC (Public Utility Commission) gave you. In some areas, such as New York City or Los Angles, this is replaced by the license number provided by the governing authority. This number proves that the customer used a verifiable provider. In some states this may be required per law. Underneath the identifying information you should place the date and time of the trip on the blank taxi cab receipt. This information serves to identify both the day and date of the trip and the exact time of the trip. This information is useful to both you and the customer. If a problem arises, the customer can use this information to verify their location; it can also serve to help you identify the trip should the customer have a problem with your company. This is where having duplicate forms becomes a way for you to prove information should the original not be available. 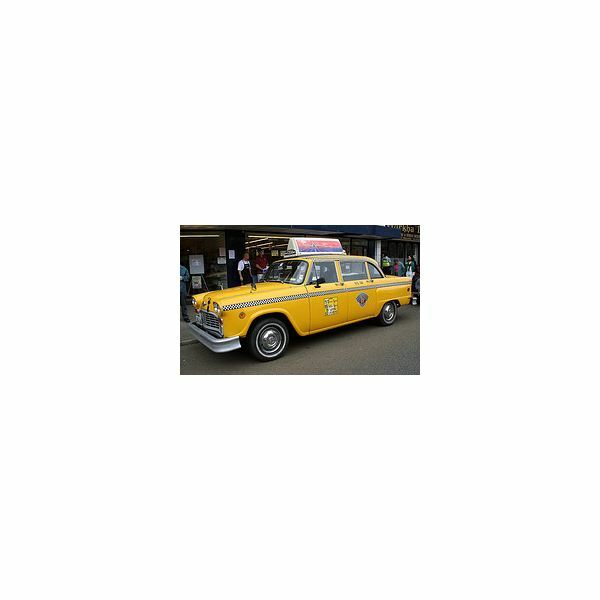 This information should be placed in the order of Pick-up point and Destination as seen on our blank taxi cab receipt template found at the end of this article. This is how the trip took place and is the natural order of the event. Write out the appropriate address on the corresponding line. You can use a receipt for each destination on a multi-stop trip. The amount will be needed as a reminder of the trip cost. Your customer will need this to fill out their paperwork. The amount is often used at the bottom of the form. It is at the right corner of the example but can be placed anywhere as long as the numbers are legible. This is the signature of the driver. If there is an issue of proof of the trip, or a customer has an issue with the amount or date later, they can use the signature to further identify who provided the trip. The signature needs to take up most of the line but can be either on the left or right side of the receipt. If you use Microsoft Office you can custom design a blank taxi cab receipt by using the Draw feature. Go to 'View,' then scroll down to 'Drawing.' A menu bar appears that has the options you need. Use the rectangle to make the receipt as large or small as you want. Use the Text Box feature to allow writing within the rectangle. From here you can include needed information. You can also customize the color, font, and size of the font. Download a free taxi cab receipt from our Media Gallery!